Welcome to Showtime - our first Arts Council-funded festival, so we you to see Cloud Dance Festival at its best! We're bringing you a fresh new selection of some of the brightest and most exciting contemporary dance and ballet artists. Whether you love contemporary dance and ballet, or you just like watching people move, we've got 18 companies over three evenings for you to enjoy. We're also holding masterclasses in dance photography, dance film and dance writing, in partnership with English National Ballet, IdeasTap and A Younger Theatre, and there are still a few places left, if you'd like to sign up! 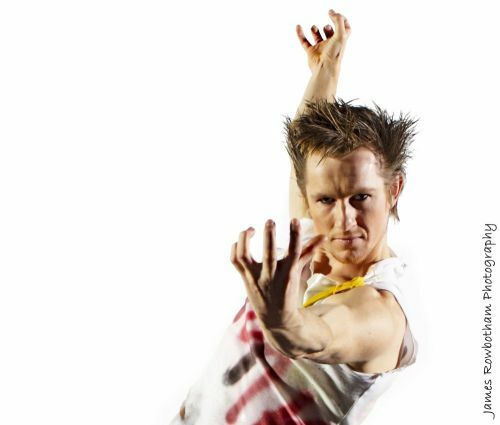 The photography masterclasses will be taught by leading dance photographer James Rowbotham, and dance photographer Cathy Martin; the dance film workshops will be taught by screendance professionals Anna Ramsay and Sabine Klaus, and the writing workshops will be taught by Donald Hutera and Eleanor Turney. Back to the lineup, we're very aware of the importance of the wider dance industry beyond London, so we're very pleased to be showcasing our favourite Liverpudlians, Taciturn, two dance artists from Newcastle - Lo-Giudice Dance and Joelene English - and three from Birmingham: former 2Faced Dancer Johnny Autin with his new company Autin Dance Theatre, Rutherford Dance Company (RDC) and Rebecca Namgauds. Fresh from winning the New Adventures Choreographer Award, John Ross Dance will be presenting his latest work, Wolfpack, about four lads on a night out. We'll also be showing a compelling new work by unconventional Rambert dancer Kirill Burlov; Taciturn's refreshing and unexpected take on life as women; a new work by Rambert Dance Company dancer Mbulelo Ndabeni; a rare opportunity to see two new works by the highly talented Avatâra Ayuso, and a dramatic work by former 2Faced Dance dancer Johnny Autin, inspired by the recent Turkish riots. Other artists worth watching are Jo Meredith, Joelene English, Declan Whitaker Dance and Rebecca Namgauds, each presenting unique and unforgettable works. We know that many of these artists may be unfamiliar to you, so to help you find out more about them and their work, we've been attending their rehearsals and interviewing them so that we can show you rehearsal photos, write features and - when our tidal wave of emails subsides! - prepare trailers for you to watch. Visit www.cloud-dance-festival.org.uk/features/ and do keep checking regularly for updates, as we'll be adding new features and trailers frequently. Join us at Bernie Grant Arts Centre for a celebration of up-and-coming talent, ones to watch and future stars, and you won't be disappointed. Discounted tickets are available for Dance UK, IdeasTap and A Younger Theatre members. Cloud Dance Festival is now in its seventh year of showcasing the best in contemporary dance and contemporary ballet, and making both dance styles more accessible to the wider public. We are committed to promoting and supporting emerging dance companies, choreographers, dance writers and dance photographers, and as part of our redevelopment, we are seeking ways to expand the support we offer across the emerging contemporary dance and ballet industries. Cloud Dance Festival: Showtime is supported by Arts Council England, with partnerships with IdeasTap, English National Ballet and A Younger Theatre. The lineup for each evening's show, starting at 7.30pm, is as below. The shows will finish at approximately 9.45pm, with two intervals. Latecomers will be welcome.